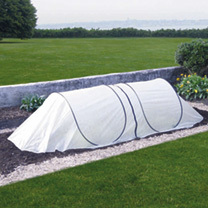 The innovative GardenGuard™ pop-up module system is the quick and easy way to protect your plants. They take literally minutes to erect and anchor to the ground, and are equally easy to dismantle. The giant-sized 2.5m (8'2") long tunnels stand 80cm (31½") high and measure 1-1.5m (3'3"-5') wide, providing excellent coverage. Ideal for use over raised beds or in the veg garden, they have a sturdy fibreglass frame, are supplied in a handy bag for convenient storage between growing seasons and come complete with 14 steel pegs to secure them to the ground (alternatively they can be screwed to timber raised beds). 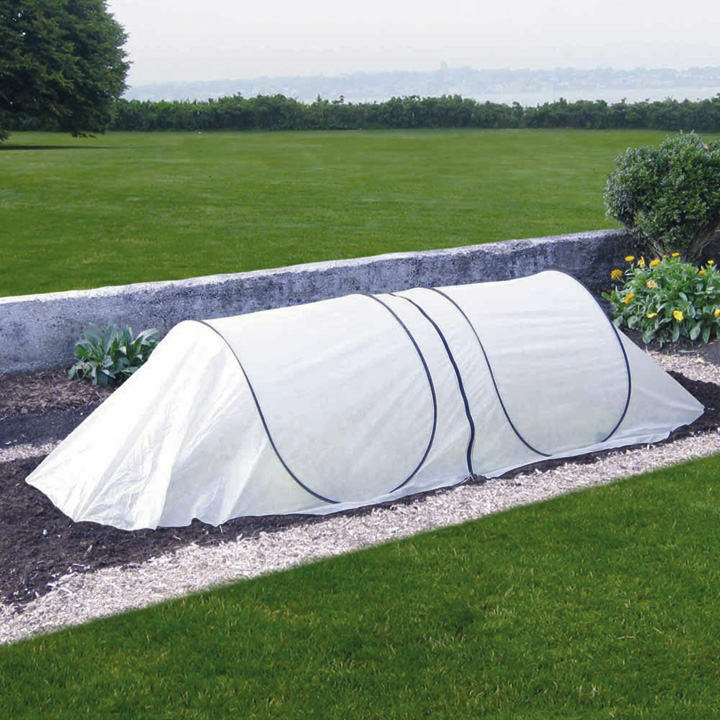 Frost Tunnel - Breathable, translucent horticultural fleece protects plants from cold, frost and drying winds, as well as insects and birds etc. Ideal for autumn and winter, to extend the growing season.